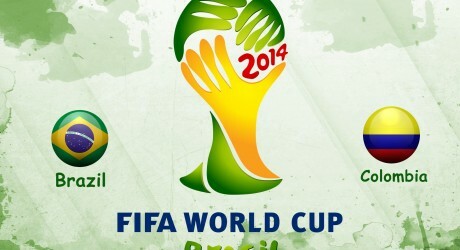 The 2nd quarter-final match of FIFA world cup 2014 will be played between Brazil and Columbia. The venue for this football match is Estadio Castelao, Fortaleza, Brazil. This match will be played on 4th July 2014 at 17:00 GMT. In the round of 16 knockout matches, Brazil defeated Chile by 3-2 on penalties after drawing the match 1-1 in regular and overtime while Colombia completely outclassed Uruguay by 2-0. Brazil is a much better team and they also have the advantage of home ground but Colombia will also try its best to reach the semi-final. We are hoping for an exciting match between these two South American teams. PTV Sports and Geo Super will telecast this match live for football fans in Pakistan.